There is a right and wrong way to design a logo. These 5 logo fails make it painfully evident. Take a look at these examples and what we can learn from them. Falling into cliches and logo fails is just one of the many mistakes that can happen when marketing online. Fortunately, we can learn from other brands mistakes to avoid repeating them ourselves. Read on for some of the top logo fails and how to avoid them. One of the biggest faux pas that can be made is accidentally creating a logo that comes off as blatantly sexual. Especially when the brand is associated with something more family oriented. Just one look at the Catholic Church's Archdiocesan Youth Commission logo from the 70's or the old Arlington Pediatric Center logo and you see what we're talking about. Not only does missing these slip-ups make your brand a walking joke, but it also damages your credibility as potential customers will have trouble trusting a business that could miss something so obvious. There are plenty of companies that do it well though. You can view some much better religious logos on DesignMantic, an award-winning professional design company. 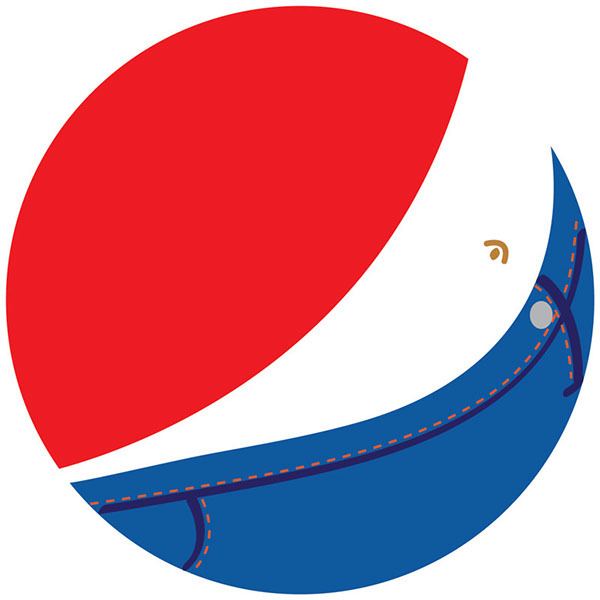 Whether it's the arrow in the FedEx logo or the protruding belly in Pepsi logo, we can all think of a hidden image in a noted brands logo. While some marketers think it's a noteworthy way of being remembered, some of these details can be overly distracting. Remember, a logo's mission is to send a message every time the audience sees it. If those details distract (or in some cases goes directly against) the message the logo is intended to send, then it's not really doing its job. It's common to see a logo that replaces one or more letters of the brand with an icon or image. However, in some cases, this can completely change how the brand name is read, creating the opposite effect of what a logo should do. Just one look at the logo for Locum, a Swedish property management group, and you can see how a misplaced icon can make things rather uncomfortable. Sometimes a logo error is as simple as using the wrong colors. There's a fair amount of color psychology that goes into making a logo and for good reason. Each color evokes a specific emotion and that emotion is then associated with the brand. So by using the wrong color on a logo, you can actually create a feeling (like anger, disgust, or anxiety) that you don't want to be related to your business. To stay on the safe side, do your homework on color choices before drafting up a logo design. We can't express how much of a mistake it is to create a logo that is all too familiar with another brand. Not only is it morally wrong (yes, it's plagiarism) but it also has a negative viewpoint from your audience. Instead of being associated with that other, more known brand, like many hope to do the business actually comes off as cheap and unoriginal. Avoiding logo fails is just one of the many areas to monitor while crafting out your digital marketing campaign. The good news is, with a little practice you'll be able to express the right message to your audience every time. Most importantly, be sure to have your logo viewed by multiple people before having it go public. Someone else might be able to catch an important detail that saves you from a major logo fail. I hope you enjoyed this blog post about unfortunate logo fails and what companies can learn from these branding failures. Interested in more articles about business branding and design?